LOCATION, LOCATION, LOCATION. It is the only listed home on the Avenues that is west of PCH in the entire Hollywood Riviera. And Yes it is Priced To Sell. 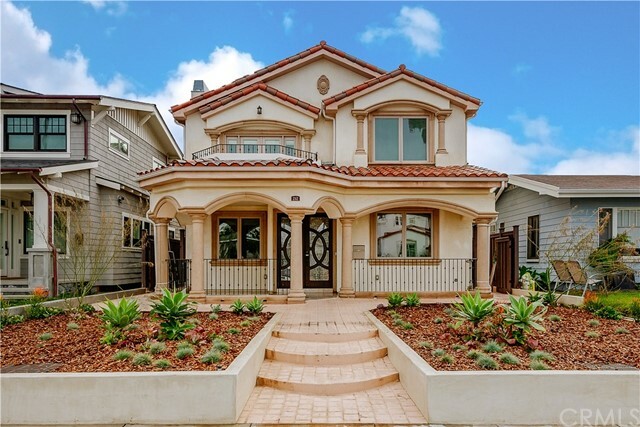 Feel the HEARTBEAT in this Newly Constructed and Fully Remodeled “Dream Home” with Blue Ocean, Majestic Sunset & Sparking Water and Ocean Evening walks. This stunning home features 5 BEDROOM/6 BATH, 3492 sq with separate guest suite with private Full Bathroom and with private entrance. You’d be forgiven for not wanting to be anywhere but home! Don&apos;t miss this opportunity to live the exclusive BEACH lifestyle. Enjoy miles of beach to walk on, and an excellent surf break. Sweeping coastline views. Dramatic is an understatement. The master suite sits on the top level with an ocean view balcony that is perfect for taking in the panoramic ocean views. The bottom floor offers the perfect place for group gatherings to relax & enjoy the indoor/outdoor beach lifestyle with over sized yard. Home boasts views for days, tranquil sounds of the waves, and endless sandy beach walks. It&apos;s far enough away to feel like your in paradise everyday , yet close enough for the easy commute into LA. It is the deal of life time..